• Strip the existing vegetation from the site and for viewing mounds around the oval. 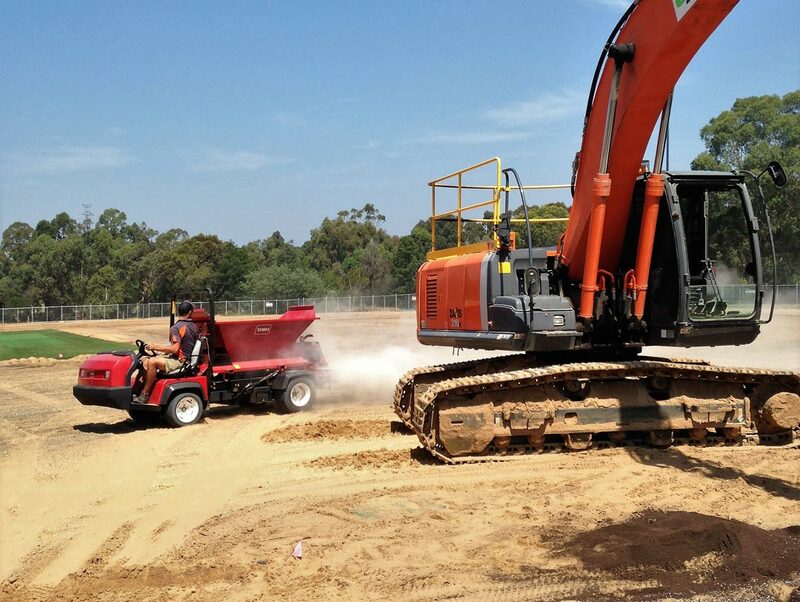 • Earthworks & Laser Levelling to for the new sub grade. • Installation of new sub surface drainage system. • Installation of new irrigation system. 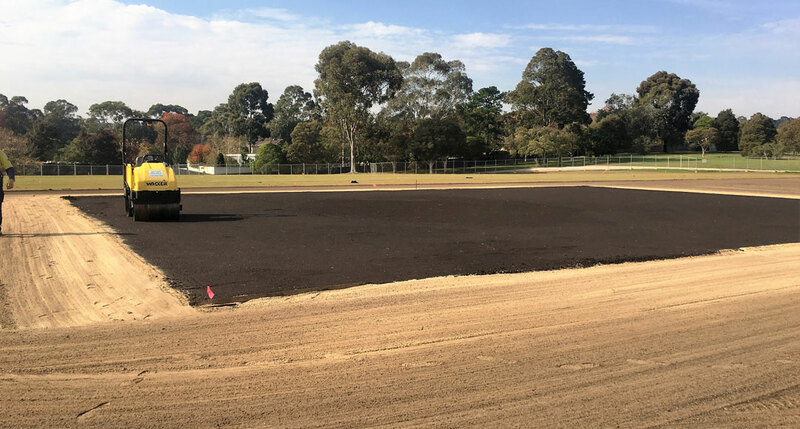 • Construction of new turf wicket block. 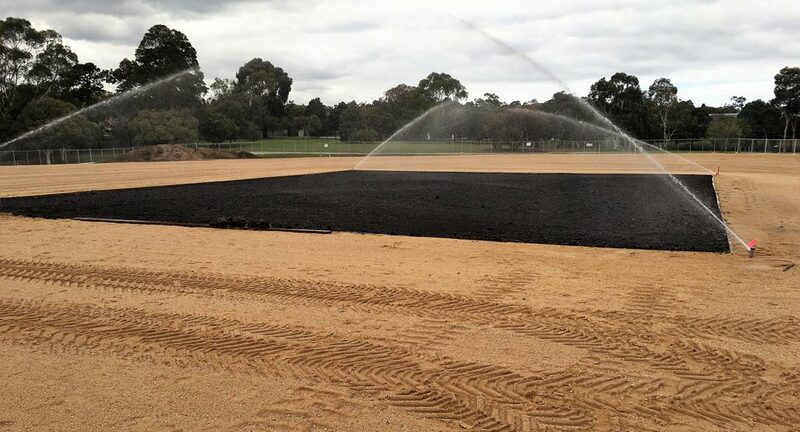 • Importation and placement of 9,000 Tonne of turf sand. 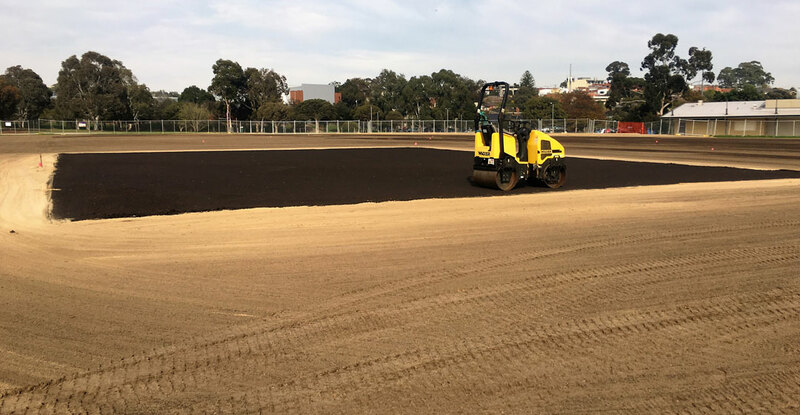 • Laser grading of sand layer in preparation for grassing. • Installation of chainmesh fencing surrounding the oval. • Turfing of the oval with Santa Ana Couch.